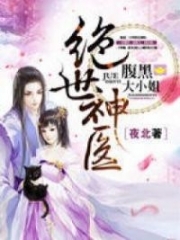 Read novel online » God Of Slaughter » Chapter 1431 You Are Still Unskilled! God Of Slaughter Chapter 1431 You Are Still Unskilled! Ling Mei and Gan Fu were screaming and drawing people's attention who was watching Shi Yan. Anyway, they actually had paid attention to the relationship between Shi Yan and the Absolute Beginning Original Symbol, the Power Upanishad Symbol Tower previously. And now, after their screaming, they couldn't help but lift their heads to look at Shi Yan's Sea of Consciousness and the tier of power Upanishad. Of course, they saw a jet black hole. Currently, that black hole was like a black vortex that spun strangely. It looked indescribably evil, indeed. People now understood. They all grimaced. They recognized that Ling Mei was correct! They knew the reason why those Absolute Beginning symbols suddenly stopped merging and seemed to divide. It wasn't because Shi Yan got hit, which discontinued his flow of energy. It was because Shi Yan wasn't using Life power Upanishad at this moment! The dark, revolving cave told them that Shi Yan was using his Devouring power Upanishad! —— It was the most terrifying and malicious power Upanishad that has been lost for so many years. It was famous for its devouring ability. It could swallow all kinds of energy and make other races loath it to the bones! When they recognized that strange commotion, as to prove Ling Mei's a.s.sumption, Shi Yan's flickering co-soul and host soul condensed and became clear. The host soul and the co-soul still looked indifferent as if nothing had happened to them. Ling Mei was correct. Shi Yan wasn't hurt at all! When Telika attacked him, Shi Yan had switched his power Upanishad. He had to pause the fusing process of the Life power Upanishad to use the marvelous ability of the Devouring power Upanishad. His Sea of Consciousness had Dark Energy, so it wasn't just an ordinary Sea of Consciousness. It had a defensive power created by the powerful Dark Energy. As he had urged the Devouring power Upanishad, his Sea of Consciousness became like a ma.s.sive vortex. When Telika's attack came, his sea seethed, which appeared terrifying. However, it actually didn't affect him a bit. While his Sea of Consciousness surged, the exploding lightning energy slowly subsided. The black hole in his Sea of Consciousness had taken it all. With s.p.a.ce power Upanishad, he had created illusions to cover his actions. Only Brian and Ming Hao could see his sneaky moves. They knew that he wasn't hurt. That's why Brian didn't take action. He even had a faint smile. When Gan Fu burst out her deadly power, he didn't stop her. As he didn't even move, Ming Hao could only try his best to interfere with her. Millions of his clones divided and sent a part of them to stop Gan Fu, entangling with her for a while. Shi Yan couldn't estimate Ling Mei's deed. Although the Mysterious Sky Clan seemed to want to establish an alliance with him, they decided to throw everything away for the Power Upanishad Symbol Tower at this critical moment. They wanted to take him down at any cost. Ling Mei's cold, calm, and precise orders had affected him greatly. Shi Yan was shaken and insecure when Ling Mei could see what he was hiding. She knew that he had mastered Devouring power Upanishad and wasn't hurt. "Seize fifteen minute for me! Or else, don't think about getting out of this place!" Shi Yan's Soul Consciousness poured like a stream from the sky and fell on Brian the G.o.d Lord. Brian was standing and watching Ming Hao dealing with two opponents at the same time and gradually falling into the lower hand. He had planned to see Ming Hao consume his energy. However, when he heard Shi Yan's voice, he snorted and replied, "You guys of the Bloodthirsty Force are so cunning. Don't worry. I will take action when I should. But don't dream about me sacrificing my life for you. Ming Hao should be the one who does that for you. If he can't, of course, I will join him. You just enjoy it over there." "Devouring power Upanishad! It's the Devouring power Upanishad!" Gan Fu screamed ear-piercingly, her body shaking hysterically. She was sitting on the green blood pond. At this moment, she had shrunk her body thrice. Now, she was just around one meter tall. She had no color on her mummy-like body, except for her overjoyed eyes. The green blood underneath her emitted a thick green mist. The rotten, corrosive energy from that green mist was so thick that it could rot people's internal organs when they inhaled. Ming Hao's soul clones were afraid of the mist. When green mist expanded, his soul clones retreated. "Telika! Attack his twin souls! Once his souls get damaged, even if he has more tricks, he will perish quickly!" Ling Mei pulled herself together fast. When they had to capture each fraction of time, she had go the right direction in just a blink of an eye, ordering people to attack Shi Yan's souls. Telika, Farlow, and Yerburgh weren't idiots. Hearing her, they reacted and ignored the seething Sea of Consciousness to attack Shi Yan's two souls above. A gray soul lotus throne emerged and brought Audrey upward. That lotus throne was created by dozens of thousands of wailing ghosts and departed souls. Fearsome faces appeared by the edge of the lotus, shrieking and showing fangs. Ming Hao was right in front of the lotus throne. He looked like a ma.s.sive skull lying underneath Audrey. 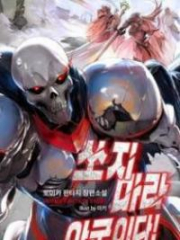 He opened his mouth and spurt dark smoke to prevent a muscular man from the Mysterious Sky Clan a hundred meters away. "Black Guards! Stop her!" Ling Mei hovered and shouted coldly. All the members of the Mysterious Sky Clan accompanied her this time left Shi Yan and turned around. Audrey was their new target. Instantly, the cold sabers as big as a rainbow and a silver mountain range s.n.a.t.c.hed over Audrey. Audrey hissed and made a magical hand seal. A cl.u.s.ter of light emerged from her palms. So many souls gathered inside the cl.u.s.ter of light and created something like a throbbing black heart. It then forcefully hit the saber and the silver mountain range from the Black Guards. At the same time, Mei Ji, the only person still staying on the ground had finally taken action. Her entire body became frozen. She was now an ice warrior with ice muscles. While her eyes were blinking, the hundred-meter-long icicles were like ma.s.sive lances that shot out and stabbed towards Ling Mei in the middle of the air. A trickle of blood oozed down the corner of her mouth. She looked even paler. Apparently, this attack had worsened her wounds. Every time an ice lance jutted out of her body, her perfect body shivered as if a big hammer pounded on her chest. After many big lances were shot, her soft body was shaking unceasingly. She limped and couldn't even stand upright. Ling Mei sighed. "Why would you do that? Is he worth you risking your life? I can't understand Phantom women. Why do you always puzzle people? Why do you always do stupid things?" Then, her jade-like hand rose. "Water moves the sky!" A clear drop of water like a tear appeared. It sucked the water and then swelled into a clear lake. The lake reflected Ling Mei's beautiful face and then began to ripple. Each ripple from that lake could shatter one ice lance. "Stay here!" So many voices hissed from everywhere. Ming Hao's clones were ballooning like ghosts. Some of them parted to stop Telika and the others. "Rot! All of them should rot!" Gan Fu screamed like a brutal ghost. The green blood pond suddenly divided into pieces as if it was a green fabric sheet that got torn. Rotting acid splashed on Ming Hao's clones, which were circling. Ming Hao's clones dissolved as if boiling water had poured on them. This attack had hurt Ming Hao. He couldn't hold his anger. Each of his clones thundered. "Brian! You want to watch until when?" "As the Soul Control Chief, it's natural that you die to protect your master. I don't need to die for you two, eh?" The G.o.d Lord mocked, but he still stepped forward and raised one hand to grab Batum. Five sharp jets of light emerged with the power of Five Elements. Together, they were like an Angel's hand tearing Batum's stormy field. Batum was really afraid of the G.o.d Lord. Seeing him attack, although he thought that the Light power wasn't really powerful and was strange somehow, Batum had pulled himself together to wait for the attack. He didn't dare to underestimate him. It was because he had seen the G.o.d Lord fight against Gan Fu and force her helter-skelter. He knew the other had supernatural abilities. Batum's vigilance made Ming Hao relax. "Ling Mei! How dare you!" Mei Ji was still on the ground and roaring while still bleeding. Ling Mei wore an indifferently face. She had seized the chance when everything was the most chaotic to dash Shi Yan's body forward. She hovered low and waited for the best chance to kill Shi Yan's body! It was her real purpose! She had been patient enough. She had watched Brian take action, suppress Mei Ji, and direct Telika to attack others, which had lured Audrey away from Shi Yan's body. Finally, she earned the chance to create a rapid water saber that was aimed to kill Shi Yan in one moment. Mei Ji screamed even though she was vomiting blood. Audrey's face paled. She also started bleeding. She was scared out of her wits when this happened all of a sudden. Only Ming Hao didn't look at this area. He was still entangled with Gan Fu. He had even let his souls melt to drain Gan Fu's life blood. At this moment, Shi Yan had put his life in the others' protection. He had urged the Life power Upanishad one more time. The life ball glowed with a mesmerizing halo and continuously released the immense life energy to attract the Absolute Beginning Original Symbol. The Absolute Beginning Original Symbol that had paused now resumed. Moreover, its speed got faster so that it wasn't even going to take even fifteen minutes. Of course, if the body was destroyed, the soul was going to hurt badly. Even if he had the Absolute Beginning Original Symbol and his soul altar couldn't return to the body shortly, the others could still strike him to death. "Don't blame me. Blame yourself for having so many marvelous powers. You don't want to join our Mysterious Sky Clan. Blame the Power Upanishad Symbol Tower. It's too important. It's more important than a future Territory Ancestor Realm expert. Thus, I have to kill you. I can't give you more room and time to grow…"
Ling Mei was discreetly regretful, but her murderous intent wasn't shaken. The water saber didn't halt. "That little girl is resolutely evil. However, she's a little unskilled. If we let you get what you want, those who have lived dozens of thousands of years like us have lived our lives for nothing?" Right before Ling Mei slashed her saber, the G.o.d Lord's cold voice suddenly arose. It was strange because the G.o.d Lord was fighting against Batum up there in the sky above their heads. "I'm sorry. Your tricks are old. We are sick of using them ten thousand years ago." The G.o.d Lord tightened his fist. It was like he had pulled all the lights of the immensely vast star into his punch and his punch now contained energy that acc.u.mulated from many suns, grumblingly blowing towards the water saber. Ling Mei unconsciously lifted her head to look at the sky. She was dumbstruck when she found the G.o.d Lord still fighting with Batum up there. Shortly after, the G.o.d Lord turned into one of Ming Hao's clones. She was chilled as she recognized that the G.o.d Lord had never left. It was a trap set for her. The conversation between the G.o.d Lord and Ming Hao was just a trick to fool people that used Ming Hao's clones. God Of Slaughter Chapter 1432 Collect! You're Read God Of Slaughter Chapter 1431 You Are Still Unskilled! online at NovelOnlineFull.com. You can use the follow function to bookmark your favorite novel ( Only for registered users ). If you find any errors ( can't read,broken links, can't load photos, etc.. ), Please let us know so we can fix it as soon as possible. And when you start a conversation or debate about a certain topic with other people, please do not offend them just because you don't like their opinions. Current Time is 19-Apr-2019 13:22:24 PM.